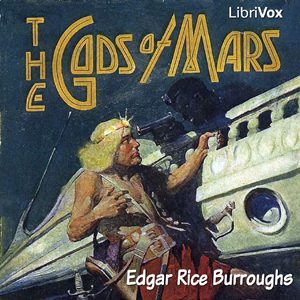 The Gods of Mars is a 1918 Edgar Rice Burroughs science fiction novel, the second of his famous Barsoom series.It can be said that the novel set the tone for much science fiction to come. Its influence can clearly be seen in franchises such as Star Trek and Farscape. While Burroughs no doubt borrowed liberally from the pulp fiction of his day, particularly westerns and swashbuckling tales, the pacing and themes set the tone for the soft science fiction genre. The protagonist, John Carter, with his proficiency in hand-to-hand combat and flirtations with beautiful alien women, could be said to have set the mold for later influential icons like Captain James T. Kirk and James Bond.